Cincinnati car accident attorney Anthony Castelli has over 30 years of experience representing injury victims throughout Ohio. 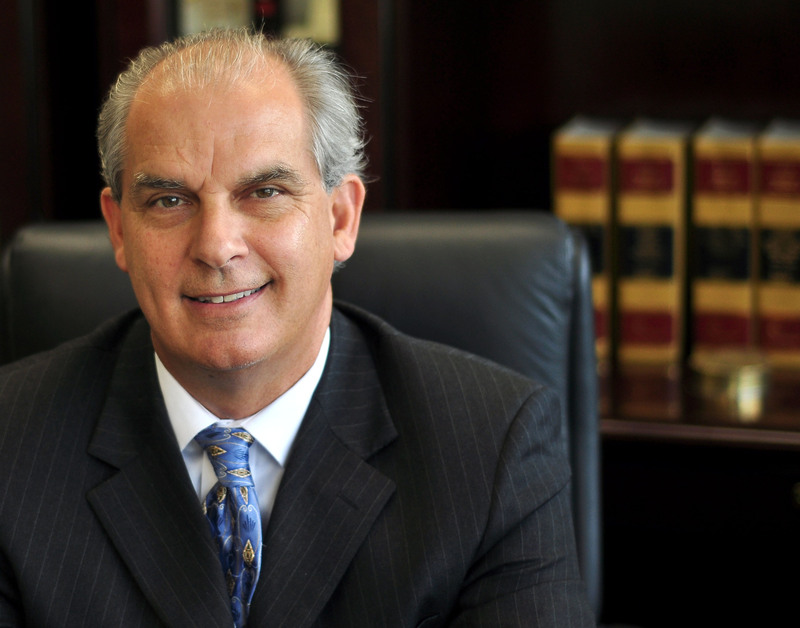 He has handled thousands of cases, primarily car accidents, product liability, and wrongful death, and has tried 25 civil injury lawsuits to jury. He believes that every client needs and deserves personal attention and responsiveness. His mission is to answer your questions, solve your problems, and get the best results possible for you. He goal is to get car accident victims full and fair compensation. His focus is making you whole by putting the most money in your pocket that he can extract from big insurance. With 30 years experience he knows what steps to take to help your car accident insurance settlement. The two most important things in Mr. Castelli’s life are his family and his clients. Every member of our staff is here for the sole purpose of serving our clients. You will never be treated like just another case number. When you become our client you become part of our family. Anthony wants to guide you every step of the way, and form a lasting relationship as your trusted advisor. Client satisfaction is our priority. If you are not 100% satisfied with the way Mr. Castelli or our staff treats you during the first 30 days after becoming our client, you may take your file, no attorneys’ fees and no questions asked. He hopes this will take any fear out of hiring a lawyer. Mr. Castelli promises to handle your case competently and diligently, in accordance with the highest standards of the profession. He will return your phone calls promptly, keep you informed about your case, and provide you with copies of all important papers. You will have access to his personal email. Mr. Castelli received his BS in Criminal Justice from the University of Cincinnati in 1973. Prior to attending law school he worked as a social worker, helping abused and neglected children in Cincinnati. In 1976 he began taking night classes at Northern Kentucky University, Salmon P. Chase College of Law, and working as a law clerk during the day. Mr. Castelli was awarded his Doctor of Jurisprudence in 1981, and was admitted to practice in Ohio. He went on to become a partner in the firm where he had started out as a clerk. In 1998, another partner in the firm suffered a heart attack and the firm disbanded, leading Mr. Castelli to start his own law office. Mr. Castelli has an preeminet rating with Martindale-Hubbell. He has a superb rating by AVVO. It is their highest rating. Mr. Castelli holds membership in the Ohio State Bar Association, Cincinnati Bar Association, Ohio Association for Justice, Southwest Ohio Trial Lawyers, and the National Association for Social Security Claimants. Click on the above link to read reviews and testimonials from clients of Anthony Castelli. To see some of Anthony’s case results click on the above link. Anthony has written Attorney Advertising Revealed and has co-authored Wolf in Sheeps Clothing – What Your insurance Company Doesn’t Want You To Know and Won’t Tell You Until It’s Too Late, that reached #1 on Amazon’s best selling list on the day of release. He has also lectured to attorneys on accident and injury claims. If you or a loved one has been injured or killed in a car accident in the Greater Cincinnati area, please call Cincinnati car accident attorney Anthony Castelli or submit an online questionnaire. The initial consultation with Anthony Castelli car accident attorney is free, and if he agrees to represent you, he will work for a contingent fee, which means he won’t get paid for our services unless you receive a settlement or an award. In Ohio, a car accident lawsuit must be filed before the expiration of the statute of limitations. Please call right away to ensure that you do not waive your right to possible compensation.